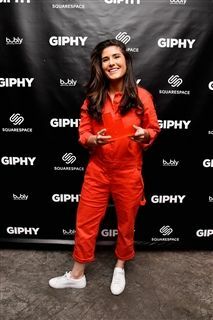 Filmmaker Ani Acopian ‘12 recently took home the grand prize at the first ever GIPHY Film Fest, which celebrated micro-films that tell stories in 18 seconds or less. Chosen from over 900 submissions, Ani’s work, “Washed Up,” was filmed by drone in Reynisfjara, Iceland. “Washed Up” is not a one-off creation for Ani. 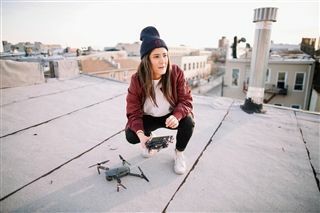 She has produced short films for well-known brands, including Red Bull, Chipotle, Snapchat, Budweiser, Samsung, and W Hotels. A lifer at Moravian Academy, Ani recounted photography and video classes throughout high school with Upper School teacher Mrs. Lindsay Woodruff, whom she considers to be one of her earliest mentors and supporters. Ani also recalls consistently bringing her camera to classes to film YouTube videos, most memorably those produced for her class president campaign with Sarah Brown ‘12. This article appeared in the Winter 2019 Moravian Academy Journal's "After Moravian: Creative Paths" section on page 31. WASHED UP from Ani Acopian on Vimeo.